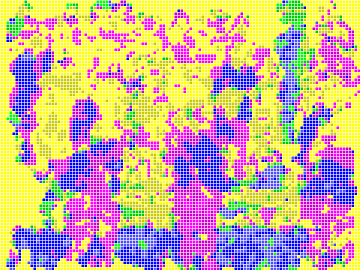 Morecambe & Wise restored using BBC BASIC! Two 'lost' Morecambe & Wise programmes, discovered in Sierra Leone as 16mm black & white films, have now been restored to their original colour using BBC BASIC for Windows! 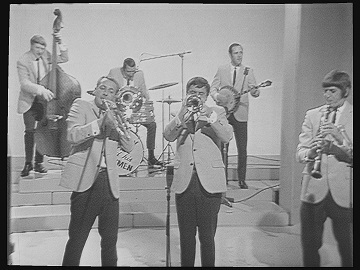 Here you can see the various stages in the Colour Recovery process on a frame featuring Kenny Ball and his Jazzmen. Both programmes will be broadcast on BBC2 on December 26th and should be available thereafter on iPlayer. The BBC BASIC program is just over 3,400 lines long and processes the material at about 1.5 frames per second on a reasonably fast PC. Re: Morecambe & Wise restored using BBC BASIC! Really cool to think that BBC BASIC played a big part in this. Great stuff. I agree - that is amazing. It's worth clicking on the link in the original post to see *how* the colour is found and also the tribute to Richard who, despite his alleged cognitive decline, is obviously still capable of some pretty impressive work. Richard who, despite his alleged cognitive decline, is obviously still capable of some pretty impressive work. Nonsense: the Colour Recovery work was done ten years ago. How can that have any bearing on my current mental condition? Ah, apologies. I didn't realise that it was 10 years ago. From the post I thought it was something you had done recently.